The pretty red and pastel green floral patterns of the Henley design have been extended across our range of handmade dog collars, leads and bandanas. You can see the matching BlossomCo Dog Collar in the Henley design here, and the matching Henley Bandana here. 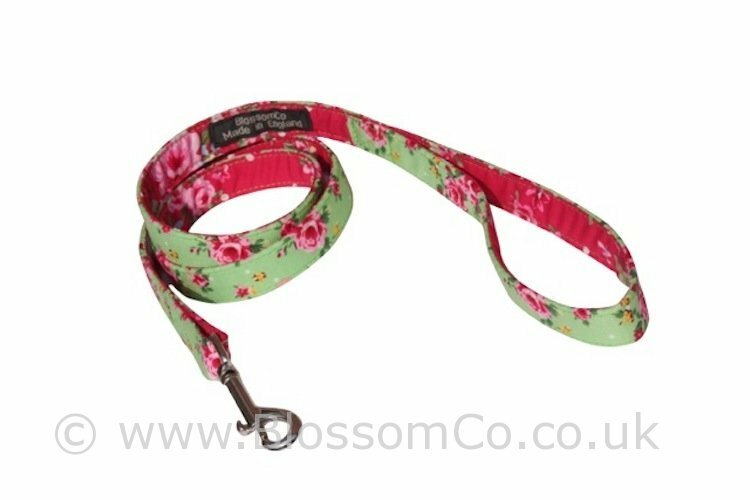 BlossomCo provide wholesale dog collars and leads for sale through gift shops and department stores.